The price of gold that recently touched an all-time high and might be considered a “bubble” as evidenced by aggressive marketing and advertising of gold investments on television, radio, and on every street corner where there is a pawn shop or jewlery “store.” The Internet is loaded with numerous websites, blog posts, investment newsletters and social media posts devoted to the topic of investing in gold. But some of the securities and “investing” opportunities being promoted have little value or interest in the precious metal, and others are nothing more than ponzi scheme or blatant frauds. For example, the Commodity Futures Trading Commission (CFTC) charged a precious metals firm in Florida with running a boiler room fraud that bilked investors out of more than $23 million. Price targets or predictions of swift and exponential growth. References to being a “buyout target” for other mining companies. Claims that tie stock performance to the general rise in gold prices. Scare tactics such as the threat of inflation or an economic meltdown. Speculative claims based on a new reserve’s proximity to an existing reserve. A change in the company’s name or trading symbol to align it more closely with gold. 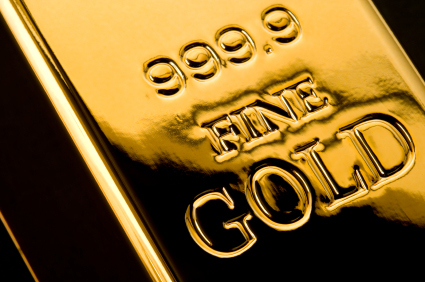 A “free lunch” program that offers to provide educational information about gold investing. investor. Just because an account or an individual investment has decreased in value does not necessarily mean that a financial adviser has acted inappropriately. At Crary Buchanan, we provide consultations concerning negligence arising from improper financial advice. We invite you to call us to discuss your rights and remedies under the law. This article was written by admin on at . You can follow any responses to this entry through the RSS feed. Both comments and pings are currently closed.